This is the output of fdisk, if it might help ? There are logs in /var/log/pm-* which might give you a hint.
? Have you tried pm-powersave or pm-suspend-hybrid? XXXX@XXXX-Latitude-D430 ~ $ pm-is-supported --suspend; echo $? XXXX@XXXX-Latitude-D430 ~ $ pm-is-supported --hibernate; echo $? XXXX@XXXX-Latitude-D430 ~ $ pm-is-supported --suspend-hybrid; echo $? I tried those other commands, they didnt have any effect either. I can see the logs (powersave and suspend)in the locations you've told me, but I cant for the life of me decipher what might be prevening suspend/hibernation. Should I post the outputs here ? They are quite large (44 and 75KBs). What parts of them should I be quoting, for troubleshooting reasons ? Wow, sorry I searched a bit. This is a huge topic. There are several things that can go wrong. Use your favorive internet search machine for "pm-utils" and see what fits you. You'll find help here with the details though. But I don't use Suspend because it's pointless after 20 minutes and I don't use Hibernate because Linux starts fast enough. Last edited by äxl; 07-08-2013 at 08:43 AM. True, but suspend and hibernate are useful when you need to close the laptop lid and take your open session to a different site location. I had a look at the archwiki page and It mentioned something about misbehaving modules. Does anybody here have any idea how I Would go about troubleshooting this ? This list is without any claim to comprehensiveness. Usually it is trial and error I guess. Also there are services (disable with a hook) and graphic drivers (Nvidia from 2009 / fglrx / desktop effects) which are part of the problem. Thanks for the reply, ill give that command a spin, but that might need to be after a while. I suspect I have bad RAM, so im waiting for a new ram stick to ship in, and im also getting a new HDD. So Ill try those commands after I fix my PC and re-install linux onto it. Ill update the thread when it happens. but the resulting text file was empty. The text briefly tells me what modules wont suspend. If I can record that, I might be able to troubleshoot better. On a Live USB system, having the HDD plugged in meant that the PC refused to suspend. However with the HDD unplugged, it goes right to sleep with no issue at all. Now, knowing this, how do I make the PC ignore the HDD module (I think) which should make is suspend? You need to unload the module that is loaded by the SD adapter. 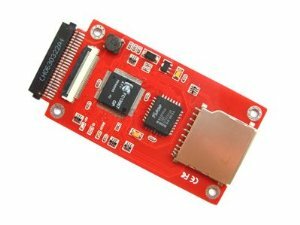 I know b43 is the wireless firmware, but would I need to use modinfo on all the other modules to find out the one used for the drive, or is there a more elegant solution ? EDIT: Here is a screenshot of the disk utility, maybe that would help ? Last edited by steak1987; 07-22-2013 at 01:04 PM. The lshw from your first post says scsi0 is the logical name of the IT-GO adapter. You just have to find out on what interface it is connected to (PCI?). Best bet would be to compare the output of lsmod of your live USB system and your normal system.